We hear at SATO recently summoned the spirit of Nostradamus. We are not sure whether or not this act was illegal, but regardless of the crimes possibly committed we are proud to add the great prophet to our staff. 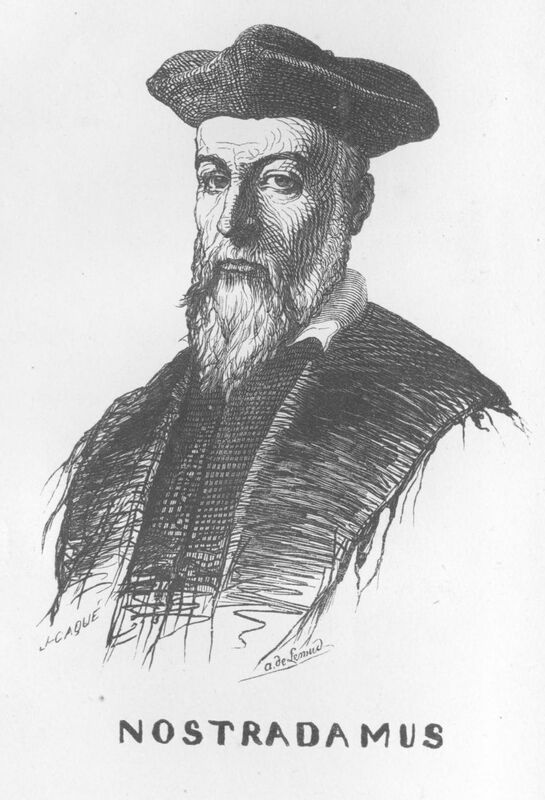 And believe it or not Nostradamus is a huge Italian Serie A football fan. In fact besides the French international squad the all knowing one only watches Serie A football. So without further adieu I give you Nostradamus’ Picks of the Week. Gilardino’s Fiorentina will overtake Marco Di Vaio’s Bologna squad 3-1. AC Milan’s new coach Leonardo will get a win in his first match as a coach over Seina 2-0. Inter will role over new squad and Serie B champs Bari 5-0. Udinese at home is way too much for Parma to handle, 3-0. Cagliari will welcome Livorno to the top tier by beating them on their own pitch 2-0. AS Roma will get their year off to a perfect start with a 2-1 win over Genoa. Lazio, the SATO pick for Most Improved Squad, led by Cruz should be able to handle Atalanta at home 2-1. Nostradamus likes Palermo over Napoli 2-1 also at home in a hard fought close battle. And Juventus should easily beat Chievo Verona 3-0. Of course Nostradamus may be a little bit rusty. I mean the guy has been out of the game for a while and a lot of new players, clubs, and leagues have been developed during the Frenchman’s absence. But as the season goes on look for the SATO Picks of the Week to be on every Friday or Saturday.